Hall of Fame legend Gordie Howe is “comfortable and happy,” after undergoing his second stem cell treatment at a clinic in Mexico Monday night, said his son, Murray. Howe is back at the Santa Clarita Clinic in Tijuana, Mexico receiving stem cells in a bid to restore some of the functions to the right side of his body. After suffering a serious stroke last October in which a blood vessel in the area of the brain that controls motor function burst, things looked bleak for the 87-year-old Howe. The family was holding a vigil at his bedside and it looked as though palliative care was the only option. That was until his family took him to Santa Clarita for the first time in December for his first treatment. Since then, Howe has rebounded remarkably and even made a public appearance at a dinner honoring him in Saskatoon in February. This round of stem cell treatments had been planned as a follow-up all along and the family is hoping it will continue to give Howe a reasonable quality of life. While the results of stem cell treatment are not conclusive, the Howe family is unwavering in its opinion that the treatment has saved Gordie’s life. 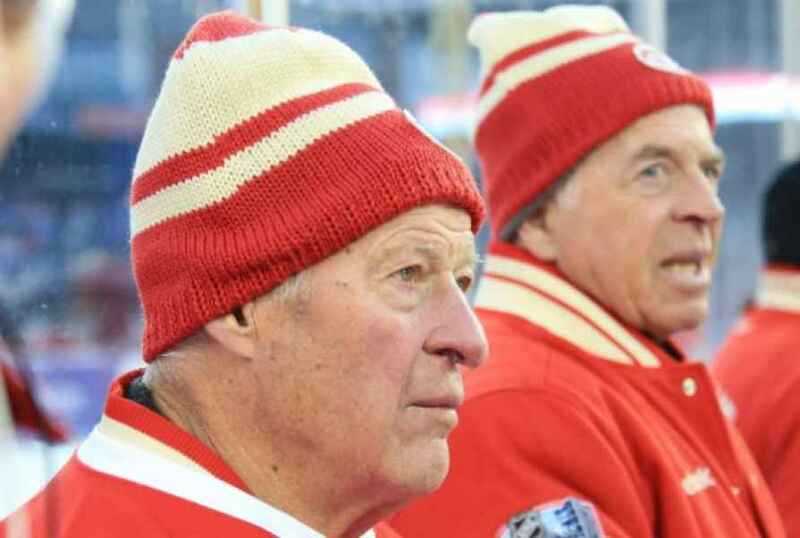 The plan after this round of treatment is for Gordie Howe to go back to Michigan for a short time, then he will move to a nursing home in Ohio that specializes in treating people with dementia.